This is a knock sensor module. When you knock it, it can send a momentary signal. 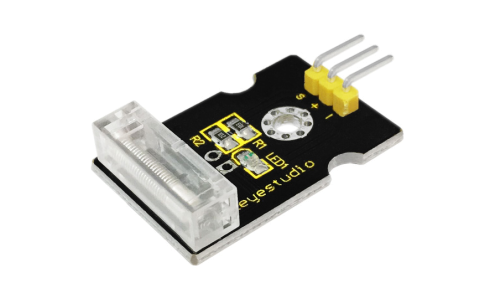 You can combine it with Arduino to make some interesting experiment, e.g. electronic drum. Upload the code to the board. 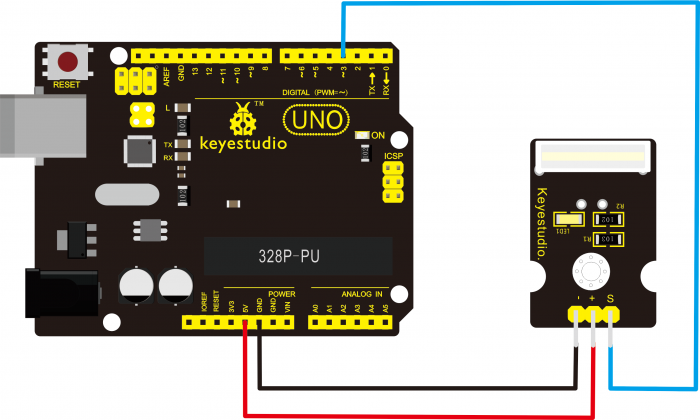 When the sensor detects a knock signal, both the led on the sensor and led 13 on the UNO board are turned on.